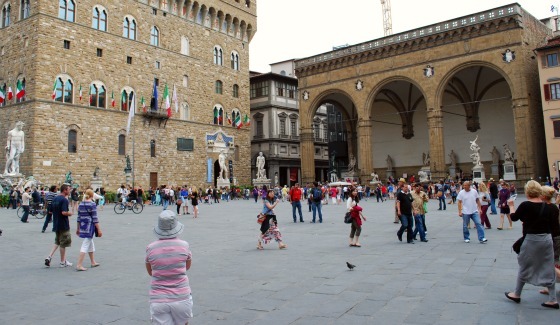 Piazza della Signoria is a large public square in Florence. There’s always something going on in this square and there’s a busting atmosphere as people go about their business. It’s also surrounded by bars and restaurants with many of them having dining areas extending into the square. We spent some lovely evenings just sitting in the shadows of the sculptures in the Loggia dei Lanzi, listening to the nearby musicians. Also in the piazza you’ll find the Neptune fountain by Ammannati which Michelangelo is said to have called a “waste of good marble”. Sadly, it was not operating on any of our days in Florence. The public art works in the square are a mixture of originals and copies. Under the 14th Century canopy, the Loggia dei Lanzi, there are information boards in English and Italian explaining what each work is and giving you more about the significance. Most of the original sculptures are under the canopy, some dating back to the 1500s. There’s no doubt though that the copy of Michelangelo’s ‘David’ standing outside Palazzo Vecchio gets the most attention from tourists with their cameras! 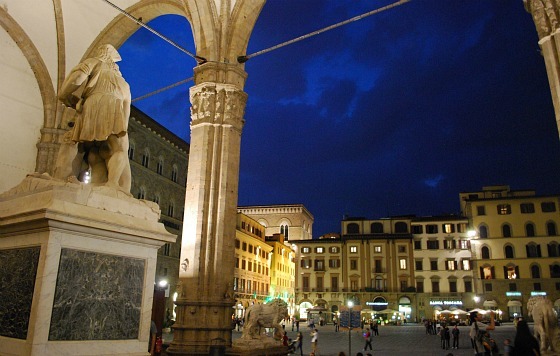 If you’re particularly passionate about renaissance art, consider taking the highly rated Skip The Line Walking Tour which also includes access to the Accademia Gallery where the original ‘David’ is located. 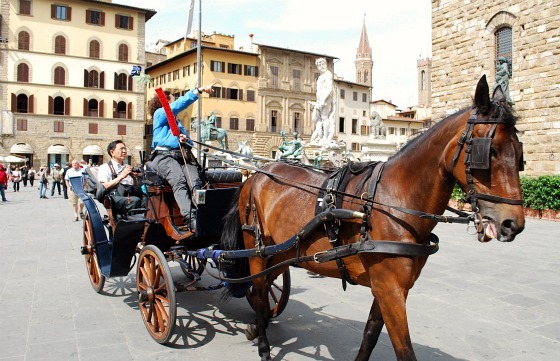 Piazza della Signoria is located next to the Town Hall (Palazzo Vecchio) in the traditional heart of Florence. 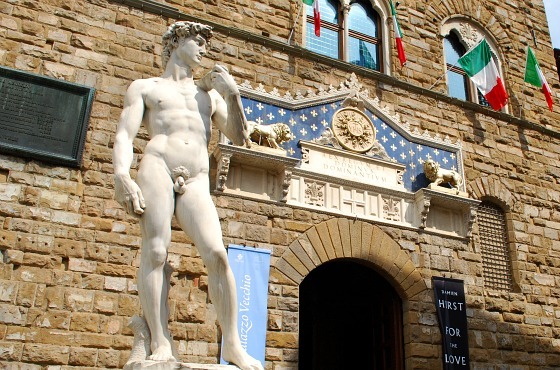 Also here you’ll find the entrance to the Uffizi Museum and Gallery.